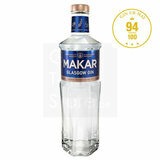 Makar Glasgow Gin is a premium handcrafted gin produced in small batches in our own copper pot still – Annie. Makar™ Glasgow Gin is a premium handcrafted gin produced in small batches in our own copper pot still – Annie. 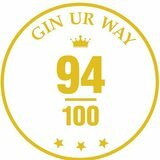 The enlivening power of the finest juniper berries form the heart and soul of Makar™ Glasgow Gin, which is complemented by seven harmonising botanicals shipped to Glasgow from around the world. Bright, vibrant and well balanced Makar™ Glasgow Gin is perfect for gin-led cocktails, invigorating with tonic and worthy of its Makar name – the Scots word for poet.